Plus comebacks, new love teams, and interesting castings that'll get you hyped! Who wouldn't remember Lee Seung Gi from My Girlfriend Is a Gumiho? After getting discharged in the military in October, he returns in a fantasy drama written by the famous Hong sisters (the brilliant duo behind My Girl, My Girlfriend Is a Gumiho, Big, and Master's Sun). Although Seung Gi's comeback drama premiered on December 23, 2017, in Korea, most of the episodes will air in 2018. We can't wait to see his on-screen charms again! Whether you're a fan of the original American series or not, you'll surely want to watch the Korean adaptation. Here, Jang Dong Gun (you might know him from A Gentleman's Dignity) plays the legendary charismatic lawyer. 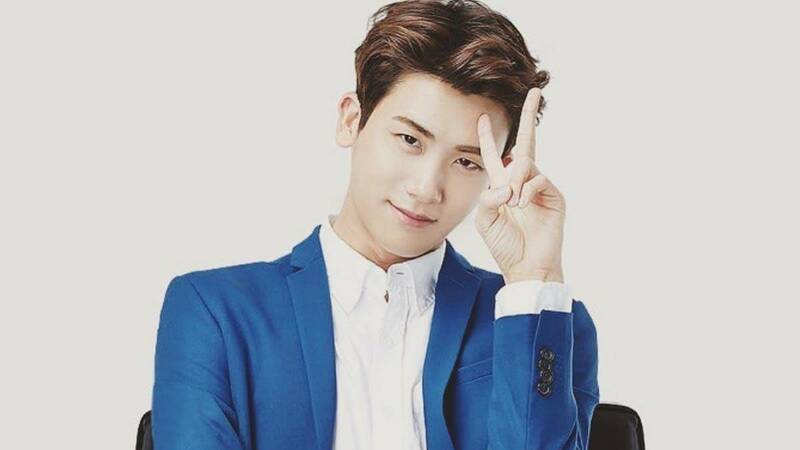 He ends up hiring the character of our bae Park Hyung Sik (Min-Min from Strong Woman Do Bong Soon), who plays a man with excellent memory. Park Hae Jin, who starred in the thriller Man x Man (bought by Netflix) after his brooding Cheese in the Trap role, plays four different men in this new series. The female lead is Nana, a detective who lost her great love and gets roped into a mysterious case. Speaking of Cheese in the Trap, Park Hae Jin was set to reprise the role in the movie adaptation of the series and webtoon. The cast includes Oh Yeon So (as Hong Seol), Park Ki Woong, Yoo In Young (the female antagonist in Oh My Venus will be playing Lee Sung Kyung's role in the series, Baek In Ha), and the ever-kyeopta Sandara Park. The release date was set for 2017, but since we haven't seen any trailers or updates yet, there's a possibility it might get moved to 2018. Kim So Hyun (the Goryeo era queen from Goblin and the cellist in While You Were Sleeping) plays a radio program writer this time. As her station tries to save itself, she casts an actor played by singer Yoon Doo Joon. Go Kyung Pyo (Sun Woo from Reply 1988) and Jun So Min (the crazily entertaining new female member of Running Man) will star in a medical drama. Kyung Pyo plays a vengeful doctor, while So Min plays a quirky hospital intern, and with their opposite personalities, there'll be a lot of cutesy bickering as well! The lead couple is none other than Lee Sun Gyun (from My Wife Is Having an Affair This Week and Jealousy Incarnate) and IU (who'll forever be Hae Soo in our scarred hearts). The plot revolves around hardships in life involving one's family, love, and career, so it's bound to be a tearjerker like the previous projects of the leads. The sequel to the 2015 hit stars Kwon Sang Woo (the lead guy from OG K-drama Stairway to Heaven) and Sung Dong Il (from Reply 1988, Scarlet Heart, Legend of the Blue Sea, Hwarang, and Midnight Runners). They will be joined by Lee Kwang Soo (from Running Man, Sound of Your Heart, and It's Okay That's Love), so it's definitely an entertaining action-comedy we don't want to miss! This one's neither a K-drama nor a movie, but if you're a fan of Korean variety shows, you'll definitely want to see this. Jo Hyo Jin, the director behind notable shows X-Man, Family Outing and Running Man, will be leading this Netflix variety show. You can expect a lot of laughs with Yoo Jae Suk and Lee Kwang Soo in the cast, along with Park Min Young, Ahn Jae Wook, Kim Jong Min, EXO's Suho, and Gugudan's Kim Sejeong. He appeared on the cover of Elle Korea's January 2018 issue. Early in 2017, he said he's not taking a long break again, so we're hoping he gets to star in a movie soon! He'll be starring in the second season of a variety show called Youn's Kitchen, but he's still taking his time considering drama and film roles. He's currently on a yearlong hiatus and is also taking his time before settling on a project—until when are you going to keep us waiting, oppa?! After WYWS, she'll be releasing an album next year and will aslo be preparing for her solo comeback as a music artist in January! He delayed his military enlistment to make way for his projects including WYWS, so we're hoping he stars in a new film or drama before finally signing up. She received multiple offers after the success of Weightlifting Fairy Kim Bok Joo, including a movie and a fantasy romance drama, but she has yet to commit to a project. Because everyone wants to see the newly married couple in an on-screen reunion!